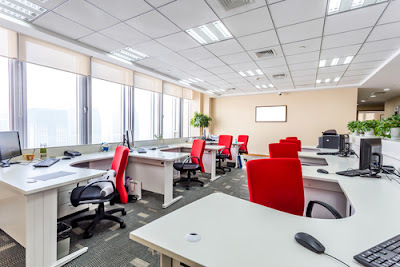 If you have an office in Singapore and you are thinking to spring cleaning so that your office get the fresh look and feel then here are the few things that you need to consider. The Spring cleaning is the possibility that can help you in achieving whatever you want. It is always good for you to get the finest kind of the results when you are using the spring cleaning every year. It is important for you to understand that as like home, your office also need to be kept really clean and also in the good form. This is a good way through which you can make your office have the look that you always want it to have. It is important for you to understand also to find out the amount of the work that you need to do along with actually what you have to do. Cleaning your office can help you in easily achieving a better place to work. Getting such a place for your work can help you in feeling good when you are in the work. There are so many things that you need to take care for organizing your office in neat way. The first thing that you need to do is to take the resolution of being organized. You can build the habit or being organized and can thus keep everything on your desk in properly arranged way. It can be achieved only if you are having the habit of cleaning in your routine. It is necessary for you to spare some time that is about 5 minutes every day so that you can keep your office organized exactly in the way you want it to be like. Divide and conquer is the rule that you should keep in mind when you do spring cleaning in office. It can be really daunting task for you to clean for the whole long time, divide the work in some sections and finish that. It is not a good idea for you to think that you can organize your whole office in a stretch. It is always good to divide the work and also to schedule that in such a way that you can easily get it done in the perfect way possible. There are so many things which you need to do so that the whole process can easily be done. There are chances for some of the desks to be really filled with unwanted stuffs. It is always good for you to sort out your things and then trash all that you do not need. Many of the individuals may find so many unwanted papers, pens that are not in working conditions and such things on the desk. It is necessary for you to get all those stuffs and let them be trashed so that you can solve the issue fast. It can be really hard for you to get all the stuffs be there on the desk in such a way that it can go without actually using the space. Using the whole area without actually with the stuffs that are needed or useful is a bad practice. It is always good if you trash all the things that you do not want. It is always good for you to sort the papers or files that are there on your desk or the draws. It is not a good thing for you to get all the stuffs dumped on one side. In most cases this can make your work very hard to be handled. If the papers or the files are organized well then it can be much easy for you to have access of them and use them as you need it for work. Spring cleaning in Singapore needs to be done in such a way that you learn the way of organizing things and also trashing all that you do not need. Electronics are the stuffs which are usually found to be in really bad state. There are chances for you to use those regularly and spill eatables or tea on it. You may not be ready to spare any time on them and cleaning that. It is good for you to spare some time so that you can clean your computer and other electronic gadgets that you are using frequently for work. It is always good for you to use the special cleaners foe cleaning them especially the screens. They need much more attention so that they d not go through any kinds of issues or damage. It is always good for you to get the best quality cleaners from the market so that you can use them in such a way that you get finest kind of results. Spring cleaning at office is a stuff which need to be done with the motive of making your space much good for work. You can use the draws in the table so that you can get the files and such things organized in perfect way. There are quite a lot of ways through which you can actually get your stuffs be filled up in the draws or such kinds of containers so that it is possible for you to get the finest details regarding that. Once you properly stacked the things and get the things organized well you need to know make your office look much fresh and good. It is always good to use some stuffs in the office like personal pictures, some vases or other art pieces that enhances the look of your office. Some amount of decor is always good in office, ensure that you do that in such proper way that it looks better and good. Do not clutter your desk with some stuffs that are not necessary.Singapore spring cleaning of the office can be done in a best way if you are organized well.